Canoil CBD E-liquid Mint 50 mg / 10 ml. Perfect taste, faster absorption of CBD. Pure taste of fresh Mint with the benefits of CBD. Orders placed on workdays before 5 p.m., dispatched the same day. 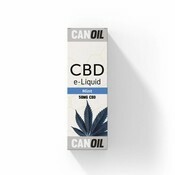 Canoil is a new CBD E-Liquid producer and supplier specializing in, among other things, CBD E-Liquids and CBD products. 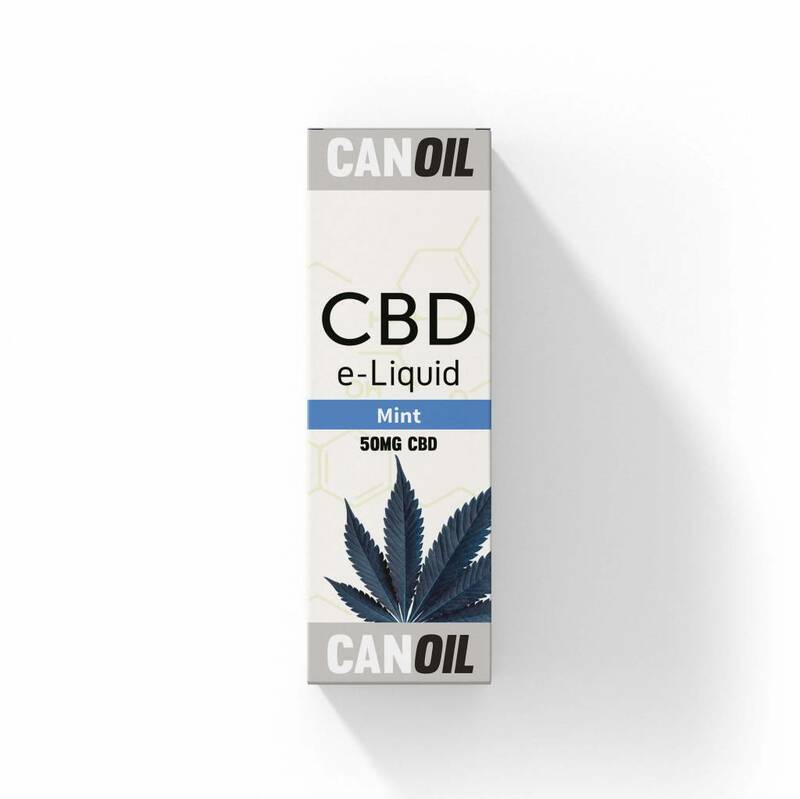 Canoil is known for their taste experience of CBD E-Liquids and offers many flavours such as the CBD E-Liquid Classic hemp. The new CBD E-Liquid contains 50 mg / 10 ml CBD that is extracted from very good quality hemp and is produced in the Netherlands. When you take CBD via the E-Liquid, you notice the same result. Through the alveoli the CBD is immediately absorbed into your bloodstream. You do not have to get used to CBD's taste because the e-liquids are available in different flavours. The latest developments in E-cigarettes and evaporators have added a new dimension to the vape experience. With E-Liquids Canoil provides an efficient and easy method to consume CBD. The Canoil CBD E-Liquid Mint 50 mg / 10 ml contains no nicotine and is safe to evaporate by an E-cigarette. By using the CBD i.e. an E-Cigarette is absorbed faster in the body. Canoil offers a variety of flavours in CBD E-Liquids, you will find that CBD E-Liquids from Canoil have a better taste experience than other CBD E-Liquids. Canoil distinguishes visibility through quality, purity and taste experience. Fully enjoy! Canoil offers CBD E-Liquids in different flavours and with different strengths of CBD. There is an appropriate CBD E-Liquid for everyone. Canoil CBD E-Liquid Mint 50 mg / 10 ml gives the natural taste of Fresh Mint. If you prefer different taste, you can try one of the other flavours. - No nicotine or toxic substances. Because the raw materials are locally extracted and processed, we are able to guarantee high quality standards. We can also trace every CBD batch, from the hemp field to the consumer, and the ecological footprint of each product is minimized. Canoil stands for quality! Quality is number 1 for Canoil. Canoil sets the bar as high as possible, and goes for Dutch quality with the highest standards. 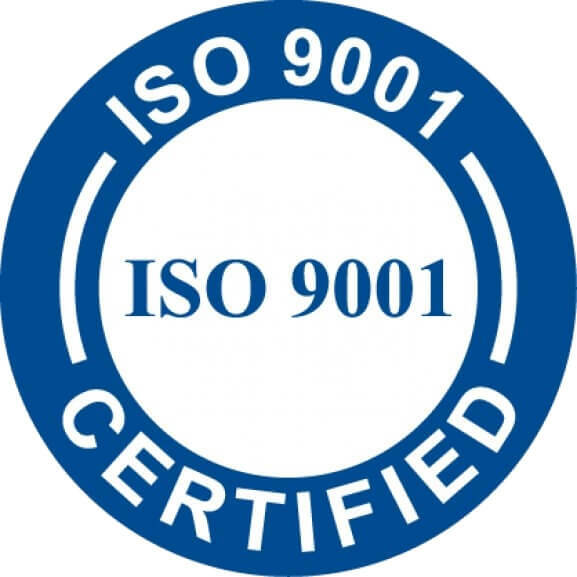 Canoil is the first Dutch CBD E-Liquid supplier where the E-Liquids are produced according to TUV ISO 9001 standards.